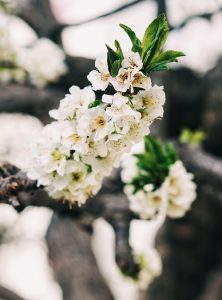 There are several different types of flowering pear trees, Pyrus Calleryana, and the Bradford pear tree is one great option if you are searching for a show tree for your landscape. This beautiful tree offers snowy white flowers, and a reddish bronze foliage in the fall. Searching for a Bradford pear tree for sale for your landscape? Bradford pear trees and other Pyrus Calleryana trees are commonly used in commercial landscaping as well as they perform well on street sides and in more urban settings. Local governments and municipalities oftentimes will line streets and raised green medians with trees such as the Bradford pear tree. Bradford pear trees grow to a height of about 35 ft. and a width of about 30 ft. with maturity. They grow best in zones 5 to 9, but we ship Bradford pear trees for sale across the United States. There are a variety of Bradford pear trees for sale in our online landscape shop. You can buy a 25 Gal. Bradford pear tree for sale, 15 Gal., 1.5 in. – 2 in., 2 in. – 2.5 in. or 2.5 in. – 3 in. This variety is one of the most popular pear trees. All of our products are grown in the pristine environments of the Blue Ridge Mountains at our on-site greenhouses. G & S Trees, Inc. offers trees and plants for sale online that are available right now. We carry a huge inventory of exceptional quality trees for sale online. Family owned and operated, our service and support is unmatched. We are well known for our Fraser fir Christmas trees for sale, and ship our Fresh Christmas greenery all over the United States for use during the holiday season.